Summer brings with itself a lot of heat. Most of us love staying at home during the daytime to avoid a contact with burning hot rays from the sun. Not only men but the metal has to face the fierceness of nature as well. Your car is the best example. When you park your ride in the sun, it doesn’t take much time to get all warmed up, making it extremely difficult for you to get back in. 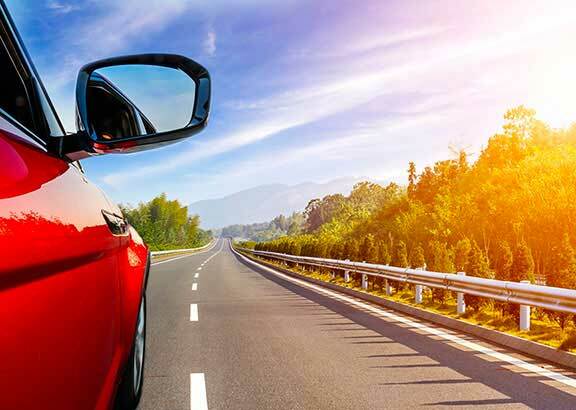 For those who will be going out in this devastating heat, we have some amazing hacks for you which would help you staying cool in your car in the summer time. Your car is pure metal. It is destined to heat up quickly. It is better to park your car under a shade in the summers because it’ll not allow heat to get trapped inside of it. We all love leathered seats. But they soak up all the heat being directed at them. This makes your car seats and other leather accessories very hot. Make sure you have you leather seats covered in the summers. While driving, bring in sunshades and windshield covers to help. They’ll block damaging UV rays from getting in contact with your skin. Seat belts are made of synthetic material and at their ends have metal locks. Both these materials get hot in the heat. Take care while using them otherwise, these could burn your skin. It is of extreme importance to not lose your cool and keep hydrated in the summers. Drink a lot of water to keep you cool. We often come up with the problem of keeping beverages and other food items cool while going out on road trips in summer. A cooler box should be brought into use while traveling. All you have got to do is put ice cubes in it and place your food items in it. They’ll remain chilled. An unethical behavior which we see people doing, in parking lots, is that they leave their children and pets in the car when going for grocery or shopping. This results in accumulation of heat inside the car and the chances of your loved one getting heat strokes rise. It is highly recommended that you take your pet or your child with you inside the store even if it’ll take a few moments. Talking of the air conditioning, you should get them checked and repaired if needed be, beforehand. AC is the best way to keep yourself cool. With these simple yet effective tricks, you can save yourself from the expected heat, which sun will be pouring this summers.